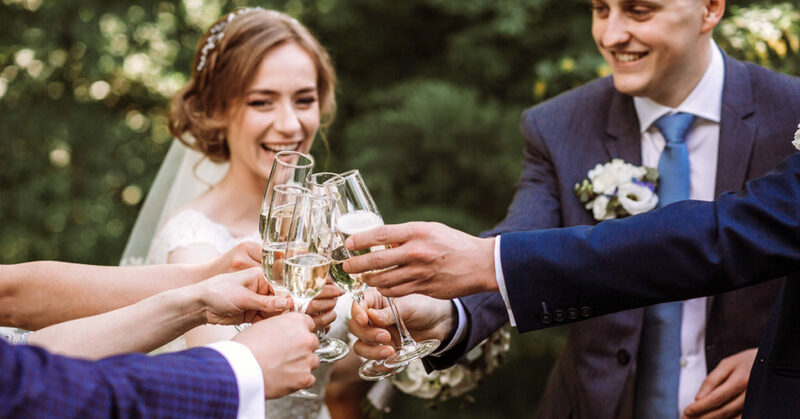 Weddings are meant to be memorable, but your reminder doesn’t have to be a $20,000+ debt looming over you and your new spouse’s head for years to come. Just to offer a little perspective, the average amount of money spent on a wedding in 2018 in the state of California was $31,437. Simple weddings can be just as beautiful and memorable as a million-dollar wedding. Creating the most memorable wedding without breaking the bank isn’t as difficult as you may think it is. 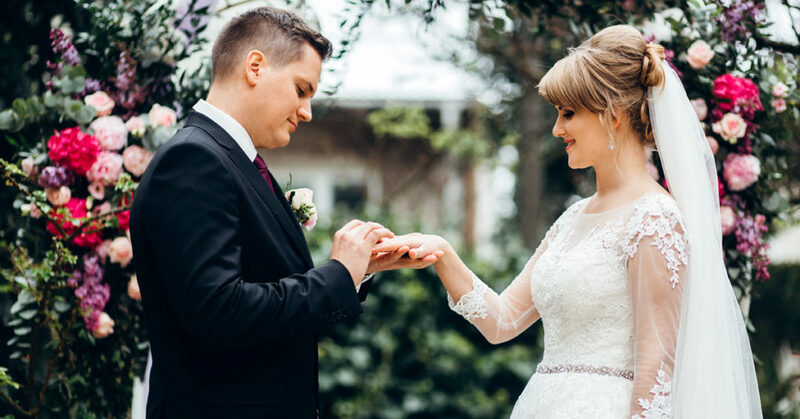 Start your new life together on the right foot by planning a simple yet elegant and memorable wedding day using these helpful tips. When deciding on a venue, look for a location that doesn’t need very much in the way of extra embellishment. Consider all of the time and money that will be saved if little to no decorations are needed. There’s nothing more traditional than having your wedding at a small chapel. When holding a wedding at a small chapel there typically is no need for any further decorating. This will create a more intimate and memorable atmosphere. 2.) You don’t need to spend a million dollars on a dress for it to be beautiful. When you begin your descent down the aisle, your groom and guests aren’t going to be concerned about who made your dress or how much it cost. There are simple alternatives to the big, fancy white dress that costs thousands. Alternatives that will turn heads all the same. Although wedding dresses can be sentimental pieces of clothing, consider the fact that you will only be wearing it for the one day, and from then on out noticing it in the back of your closet every so often. 3.) Cut the guest list and keep it just as a tight-knit group of your closest friends/family. The more people you invite, the more you will be paying in the way of catering as well as beverages. As much as you’d like to celebrate this exciting day with everyone in the world, try inviting only your closest family and friends rather than everyone and their mother. 4.) Pick a venue that can also double as your reception party venue. 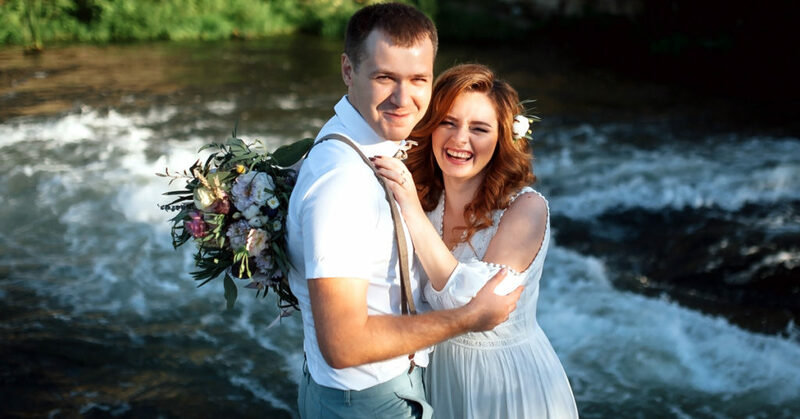 Finding a venue that can double as the location for your wedding ceremony as well as the reception party can definitely save you some serious money when planning your wedding. That, and it will save you time and money on transportation from one place to the next. Even if you find a beautiful venue that has the look that you’ve dreamed of, it may still need a little something more. Creating decorations rather than buying them will most definitely save you money in the long run. Not only will creating your own wedding favors save you money, but it will also add a more personal touch to the favors that your guests will be taking home in remembrance of your special day. 7.) There’s no shame in buying the opposite of high-end dishware or shopping at the dollar store or Walmart. You’d be surprised the number of elegant and eye-catching wedding décor you can find at the stores that save you the most money. Décor and silver wear are not what you and your guests will be focused on during your wedding or the reception. 8.) 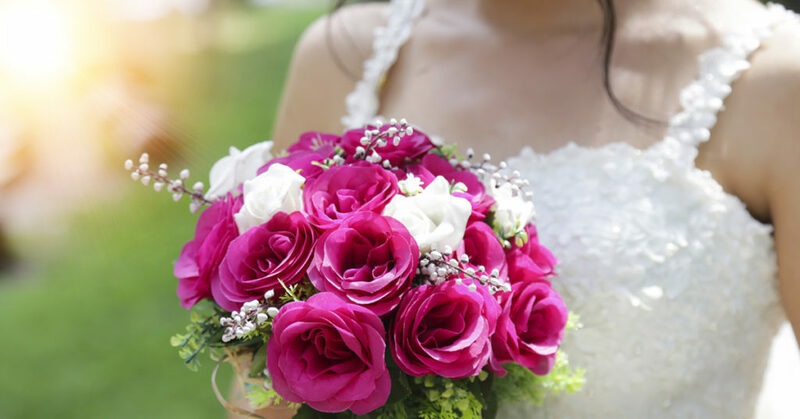 Hiring a wedding planner can help you make the right decisions that will help you save money. 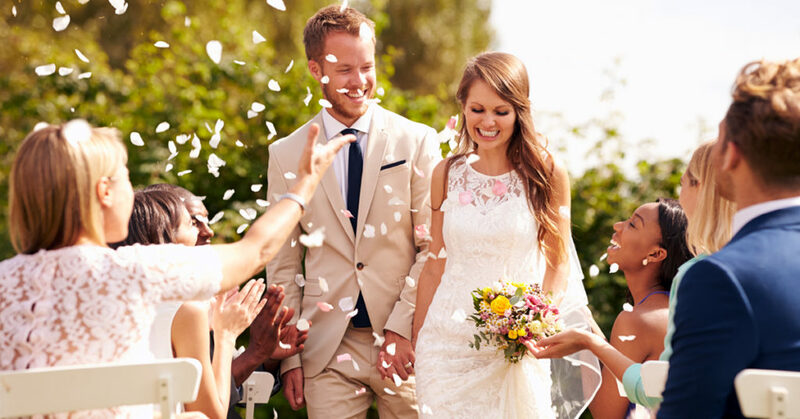 Although it may sound counter-intuitive, spending money to have a professional wedding planner help you make decisions may save you money in the grand scheme of things. After all, who would better know the tricks of the trade. 9.) Delegate the workload. Get mom, sisters, nieces/nephews, and close friends involved. Whether you’re creating wedding favors or save the dates, bringing your family and close friends in to help with this process can save you loads of time and money. Instead of buying things that are already made that cost a fortune, have them finished quickly with no added expenses by recruiting a team of your own. 10.) Cut the unnecessary extras. There’s already a delicious cake, why have a dessert table too? Buying a cake big enough to serve all guests may cost a bit more than you initially planned for the cake, but overall it will probably cost less than buying a cake and other desserts. 11.) Find a friend of friend’s who can work your wedding (DJ, Caterer, photographer, etc). Having friends with special talents can pay off especially on your wedding day. Maybe you have a friend who is a DJ or a photographer who would be willing to work your wedding for a lower cost than hiring out someone you don’t personally know. On that same note, maybe you have a friend who is a certified justice of the peace or even a wedding officiant. Not only will hiring a friend for this particular job potentially save you money, but also create a very special moment between you and your spouse, and your friend who married you both. 12.) Cut the signature drink. There’s got to be plenty of wine and beer to go around. Even though it is a traditional feature at a wedding reception, not having a signature drink isn’t such a bad thing. There will be plenty of wine and beer after all. Rose’ and Sangria can be rather pricey, so do yourself a favor and pass on the pricey signature drink. 13.) Let go of the idea of perfection. Of course, you want everything to line up with your idea of a dream wedding. But sometimes going with the flow creates the best memories. You may feel compelled to spend every last dollar you have to create the wedding of your dreams, but some of the best memories are spontaneous and unplanned. Save yourself the headache and years of debt and go with the flow. There’s absolutely nothing wrong with trying to plan the wedding of your dreams. But if something doesn’t seem to go according to plan let it become your new plan, rather than whipping out your wallet to resolve the issue every time. 14.) Be picky – shop around until you find what suits you for your big day, as well as suiting your budget. Being picky and a perfectionist are two entirely different things. Do your research while planning the wedding. Finding a venue that can double as the location for your reception, and that doesn’t break the bank will be well worth your time. Rather than going straight for the big, fancy venue that has everything you might need but will cost you an arm and a leg. 15.) When renting a limo or other vehicle to drive you away from the ceremony have them drop you at your car rather than the airport. 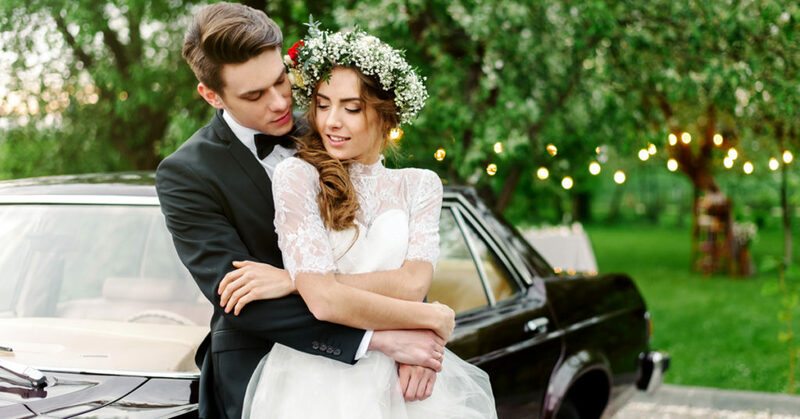 Depending on the limo service, you may save some decent money having a friend or family member drive you to the airport to take off for your honeymoon adventure. Yea it’s your big day, and you want to splurge to make it the best, most memorable wedding day ever. Just keep in mind, money doesn’t buy happiness. You can still have the best, most memorable wedding day while on a budget. Price tags don’t define a wedding. 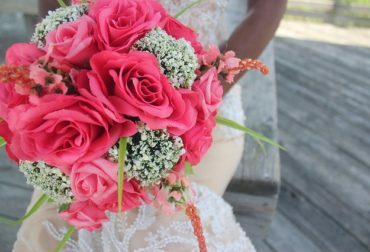 Wedding On A Budget – Save Thousands on Your Wedding. Hold your ceremony and your reception in the same place. Cut down on the guess list. Only invite very close friends and immediate family members. Find a venue, like a public space, a parks or rent a vacation home, an aquarium, a zoo, a gallery or historical site, the fees are less expensive than a wedding hall. Don’t give your guess any party favors. These gifts will get left behind or thrown away. Have your wedding Friday or Sunday, you will usually get a discount but if you want to save even more have your wedding Monday through Thursday. An afternoon wedding will cost less than an evening one. Your friend and family have talents, use them. Most of use have a friend that is a great makeup artist, a hair dresser, a photographer or a family member that bakes amazing cakes. What a way to get friends and family involve in your wedding. Rent your wedding dress. Grooms rent their tuxedos, you can rent your dress and save a ton of money. Don’t have a cake. Consider having a desserts-only reception. Order your food from a restaurant, many restaurant will accommodate your request at a fair price. You can always buy flowers wholesale in a local market, and pay a florist to do a simple centerpiece. Wedding Trends come and go, but let’s face it, we all love to know what’s trending. And unless you have the time to spend going through wedding magazines, it’s difficult to know what is trending in the bridal industry. Here are some exciting trends! Wedding are becoming more and more relaxed, less traditional and more casual. Couples a choosing romantic and beautiful outdoor weddings, instead of the more traditional indoor weddings. 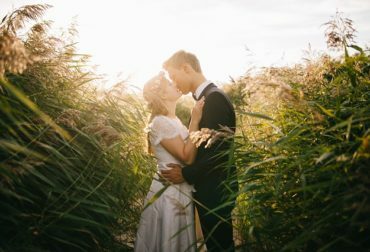 Many brides are choosing to have a “man of honor” instead of the typical maid or matron of honor. Couples are choosing to opt-out from the traditional cake cutting, instead they using alternative desserts like cookie tables, elaborate candy bars and buttered milk & cookies. More guys are embracing the traditional party dance, groomsmen are coordinating some impressive dance moves, as they put a show for the bride and guests. When a love one can’t attend your wedding, far-away can still celebrate your wedding through Live Stream. More brides are planning a destination wedding or non-traditional wedding, so many brides and grooms are discovering casual elegance. Less is definetly more. And for some, informal means stripping the wedding of all the bells and whistles in favor simple elegance.